The Turin-based Fiorio family ran a leather business until Sandro - a successful racing driver in his youth - decided to sell up and join the Lancia car company to run the public relations department. His son Cesare wanted to be a racing driver and began competing in a Fiat 500 when he was still a student of political science. He became the Italian GT champion in his class in 1961 but his only rally outing - on the Monte Carlo Rally - ended in an accident. After his obligatory military service in the Italian navy, Fiorio joined a Lancia dealership and in February 1963 established a racing team which he called HF Squadra Corse.At the time Lancia had decided not to be involved in competition and Fiorio's intention was to compete using Lancia products and convince the company to change its attitude. At the end of the year seven Lancia Flavia coupes were prepared for HF Squadra Corse for the Monte Carlo Rally by the Turin tuning firm. Five took part and all finished but the best placed was only 13th. Later in the year Piero Frescobaldi finished third on the Rally of the Flowers and Rene Trautmann won the Criterium Alpin and the Rallye Lorraine. With the help of Sandro Fiorio the team was supplied with cars free of charge in 1965 and became a semi-works operation. The first big win came with Trautmann and Claudine Buchet winning the Coupe des Alpes. Engineer Gianni Tonti was hired to improve the cars and in 1966 the Flavia was much more competitive with Leo Cella winning the Rally of the Flowers and the new Lancia Fulvia showing potential. In 1967 Ove Andersson won the Spanish Rally and Sandro Munari won the Tour de Corse.It was not until 1969 however that the team won the European title with Harry Kallstrom, as competition from Alpine, Ford and Porsche was intense. That year HF Squadra Corse moved to the Lancia factory and became the motorsport department. Soon afterwards FIAT bought the entire Lancia company although Fiorio was largely left to his own devices.In 1972 Munari won the Monte Carlo Rally and the company won the Manufacturers' Championship thanks to the efforts of the Italian, Kallstrom and Simo Lampinen. The following year Munari won the European title while Fiorio began to push Lancia to develop the Stratos and convinced Ferrari to supply Dino engines. The car was a great success and Lancia won the 1974, 1975 and 1976 Manufacturers' titles. When FIAT decided to merge its various competition departments Fiorio took over the Fiat Abarth 131 and that too was soon winning. At the same time Fiorio was an active powerboat racer, winning 31 races, six European and two World titles in his classes.Lancia was also began an involvement in sportscar racing in 1979 with the Monte Carlo model which was followed by the LC1 and LC2 prototypes. The company won the World Championship in 1981 and the program continued until 1985.In 1980 Lancia even discussed building a turbocharged F1 engine for the Toleman team but nothing came of this and rallying remained the focus with the 037 model followed by the Lancia Delta Group B supercar. Fiorio's star in the FIAT empire continued to rise with his appointment as head of sporting activities of FIAT in 1984 and a place on the board of directors of the Juventus football team in 1987. The Alfa Romeo sporting programs also came under his jurisdiction when the company was bought in 1988.In March 1989 Fiorio was appointed Sporting Director of Ferrari - which came under direct FIAT control when Enzo Ferrari died - and he ran the team with some success until June 1991 when he lost a political battle with driver Alain Prost.FIAT's Gianni Agnelli gave him a new challenge to win the Blue Riband for the fastest crossing of the Atlantic Ocean with a boat called Destriero, funded by Agnelli, the Aga Khan and Italian big business.In July 1994 he returned to Formula 1 as team manager of Ligier, which was then owned by Flavio Briatore but he was ousted a year later when Tom Walkinshaw took over the team. That December he was appointed a Cavaliere della Repubblica Italiana - the equivalent of a knighthood. 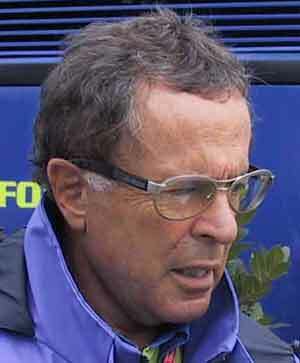 He was briefly involved with the ill-fated Forti F1 team in 1996 but then returned to Ligier and remained there after the team was taken over by his old adversary Alain Prost. When his contract expired at the end of 1998 he joined Minardi as Sporting Director and he remained in that role until the middle of 2000 when he resigned after a disagreement with team owner Gabriele Rumi.Since then Fiorio has worked as a consultant and TV commentator.